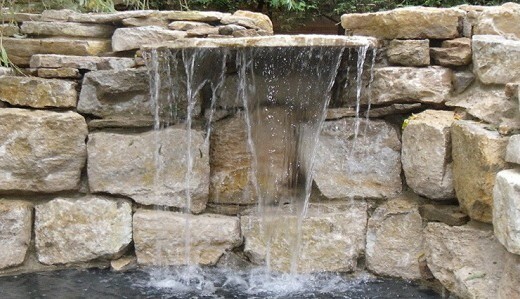 Waterfall water feature London designed and constructed by Water Scenes. We are a dedicated water feature company who focus our attention to designing and installing ponds, pools and features to a very high standard. Our features are installed across the UK in private and public garden spaces. The water features we design are totally individual and unique. Visit our main water feature design and construction page or read the article waterfalls and cascades that this picture is associated with.